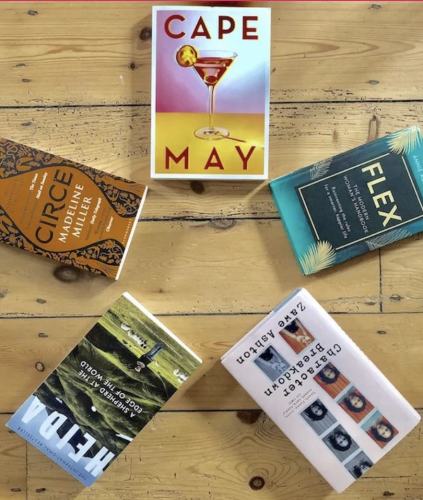 From Shakespeare to Dickens to Austen and beyond: there's an al fresco production for everyone this season. 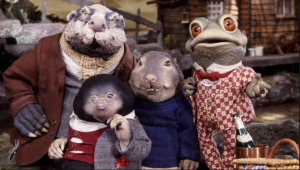 Pack your picnics and join the boat-loving Ratty, the sensible yet curious Mole, wise old Badger and the fantastically irrepressible Toad as they embark on the adventure of a lifetime culminating in a colourful battle with the sly weasel to save Toad Hall. Eye-catching costumes, toe-tapping music and larger than life characters promise to capture the imagination of the youngest of audience members whilst the sheer nostalgic charm of this beloved story is guaranteed to take older generations on a glorious trip down the riverbank onto memory lane. Illyira’s open-air tour brings Jane Austen’s classic to the Lido, with the infamous Mrs Bennett throwing her daughters into a social whirlwind of balls, dinners and eligible men in a bid to marry them off. If you’re thinking costume drama, empire-line dresses and tea parties, then expect to be surprised, Illyia’s sell-out show brings you Austen at her vibrant, bitchy, forthright best. Bring a picnic and have a ball. 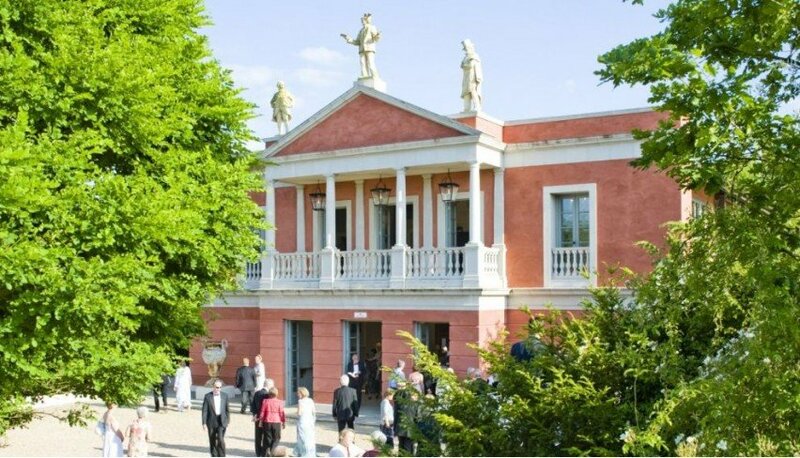 The Longborough Festival Opera, the small country opera house that punches above its weight, continues its summer season with Mozart’s The Magic Flute. With RSC and Royal Opera House designer Ruth Paton, innovative director Thomas Guthrie and maestro conductor Anthony Negus on board, this promises to be a very special production. The grounds, not far from Moreton-in-Marsh, are glorious, so dress up in your glad rags, pack a picnic or pre-order a hamper or, why the hell not, just dine in The Coach House Restaurant (see the menu here, £45 per person for a three-course meal) or Valley Buffet (£35 per person), and enjoy the show. Glyndebourne, eat your heart out. More from quirky Oxford theatre company Creation. This time they invite you to fall down a rabbit hole in the green gorgeousness of University Parks for a family-friendly production of Lewis Carroll’s Alice. This particular wonderland is in a Big Top so inclement weather be damned! 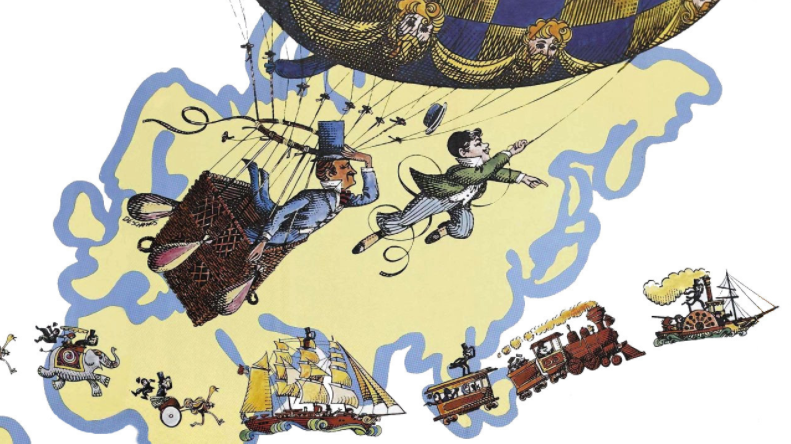 Based on the novel by Jules Verne, adapted for the stage by Laura Eason, this play takes place in the open air at Hamptworth Lodge. 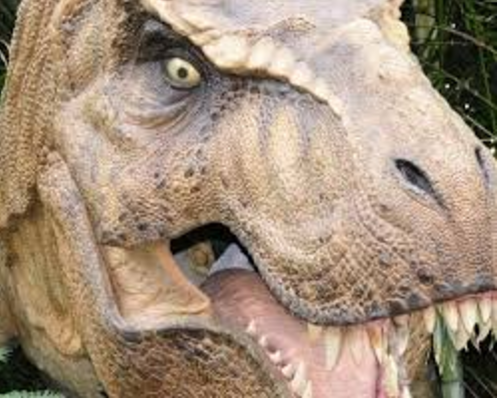 Sir Arthur Conan Doyle’s thumping adventure first published in 1912 inspired the likes of King Kong, Godzilla, Alien, Jurassic Park and a host of other much-loved movies.Intrepid explorers travel to an uncharted plateau and find flora and fauna beyond their wildest dreams. Yet, how will they make anyone believe the wonders they have seen actually exist? Join the HandleBards in the grounds of beautiful Rockley Manor for their all-male, bicycle-powered production of Shakespeare’s A Midsummer Night’s Dream. Four young lovers find themselves enveloped in the dream-like arms of a magical forest full of sprites, where a feuding Fairy King and Queen are at war over the possession of an Indian boy. A group of amateur actors share the same forest. They’re rehearsing for a play. Fairies and humans collide. Hilarity ensues. On Lacock’s beautiful South Lawn, Illyria will bring to life Hans Christian Anderson’s classic story of The Emperor’s New Clothes. A fast and funny family show for all ages. The internationally renowned Iford Arts Festival (opera, picnic proms and classical cloister concerts) takes place in the exquisite performing spaces of the Cloister and Casita in the Grade 1 Listed Peto garden of Iford Manor, 6 miles outside Bath. 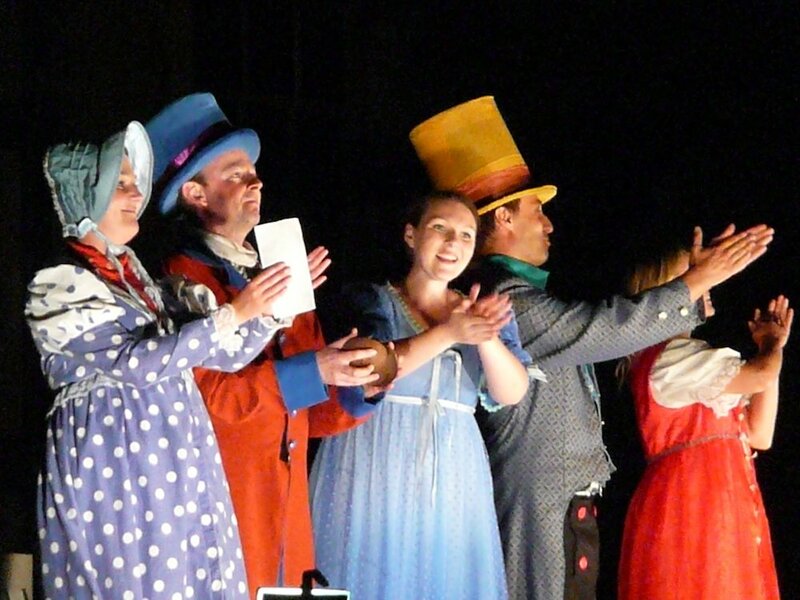 Opera is staged in the round and sung in English for a seated audience of 90. More importantly, don’t forget to bring the picnic and the Pimms. An evening of outdoor frolics and open air theatre with optional supper served by serfs and wenches. Apparently. In the town of Titipu flirting has been made illegal. The penalty, by order of The Mikado, is death. Too bad then that the main culprit is the Lord High Executioner Ko-Ko, who wishes to marry his beautiful young ward Yum-Yum, and who has no intention of executing himself. Can the itinerant musician Nanki-Poo be persuaded to be executed in his place? 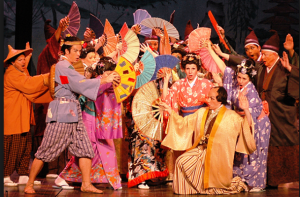 And what would happen if anyone should dare to tell the Mikado that an execution had taken place when in fact it hadn’t…? 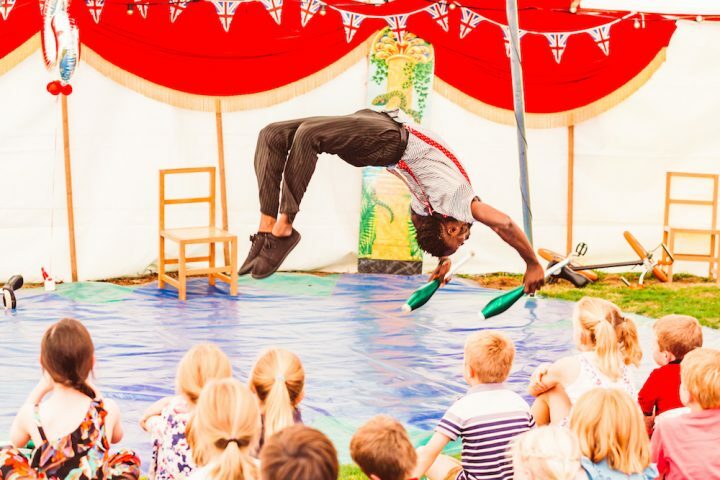 Chapterhouse Theatre present Wind in the Willows – join Badger, Ratty, Mole and Toad on Lacock’s beautiful South Lawn for this fun-filled family adaptation of the classic tale, alive with music and song. 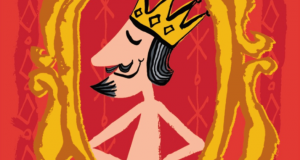 Shakespeare’s romantic and hilarious comedy – fun for all! 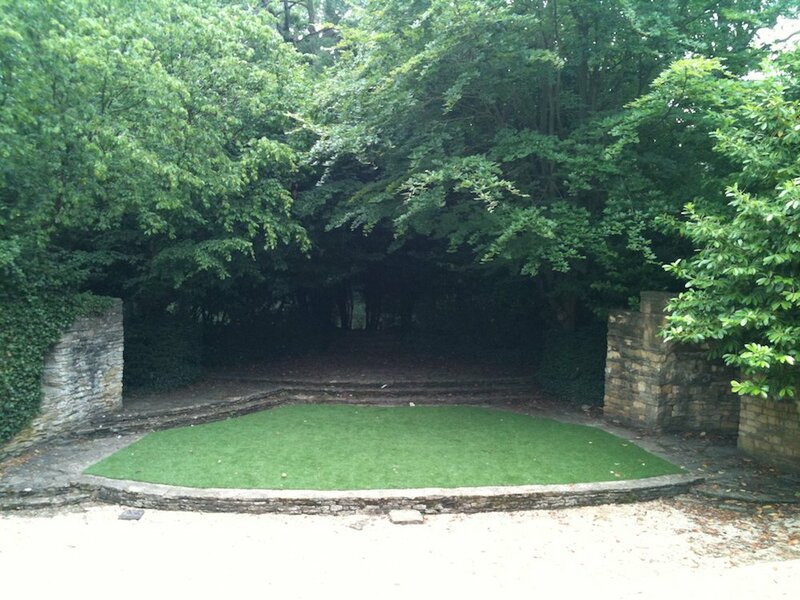 So much happening at this magical, amphitheatre tucked away in the woods next to a brook in the grounds of Dean Close School. 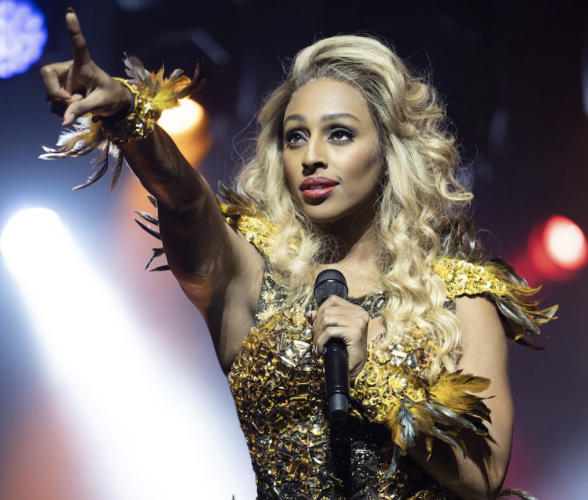 Live theatre, music, cinema and fun shows for kids, the line-up includes Twelfth Nighton Wed 19, Blithe Spirit on Sat 22, The Taming of the Shrew on Wed 26, The History Boys on Sat 29, A Streetcar Named Desire on Tue 25 July and Breakfast at Tiffany’s on Tue 1 August. The kids’ shows include Dogs Don’t Do Ballet on Sun 23 July, Jungle Book on Fri 28 and Jungle VIP on Sun 30. Gates open an hour and a half before performances, so bring a picnic, settle in and get ready to soak up the atmosphere. 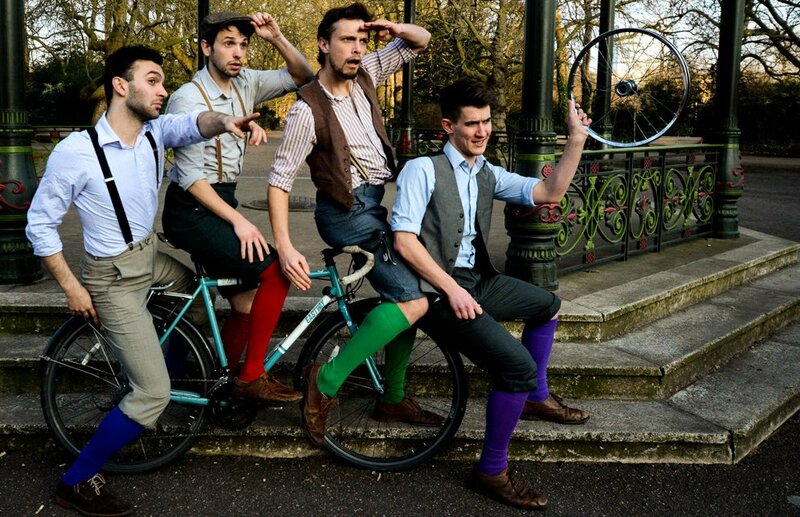 The brilliant Handlebards Gents, the four-strong, bicycle touring Shakespeare company, are breathing new life into the Dream performing it in the Rococo Garden’s bowling green. 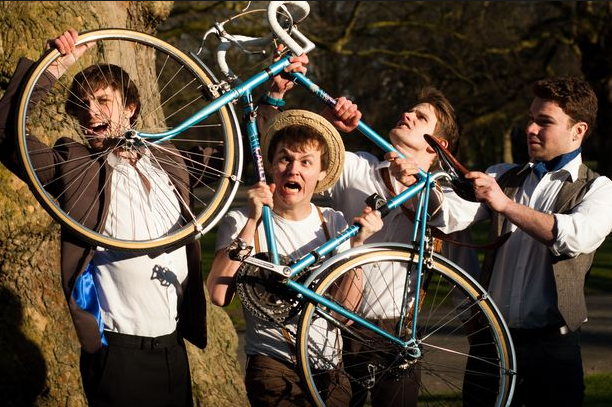 The eccentric troupe have been touring since 2013, cycling up to the Edinburgh Fringe in 2015 and arranging for audiences to have bikes so they could cycle with them through the city to a hidden location to perform an undisclosed Shakespeare play. Expect the unexpected. Loving the sound of this performance in the Bod Quad, which promises to be one of the highlights of Oxford’s summer. 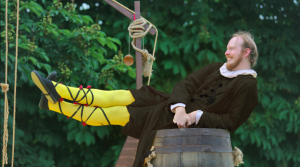 Watermill Theatre are celebrating their 50th anniversary with an outdoor production of one of Shakespeare’s funniest comedies, Twelfth Night. Directed by Paul Hart, there’s a post-war, 1920s setting for the play and a fabulous soundtrack of jazz inspired by Duke Ellington, Ella Fitzgerald and Louis Armstrong. 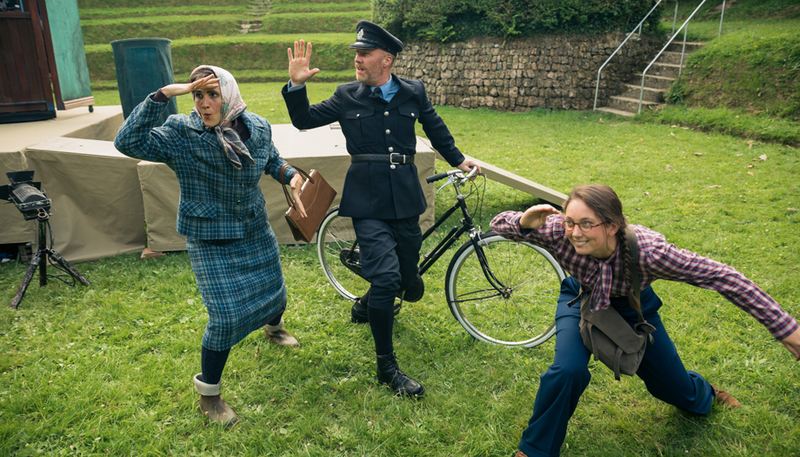 The quirky Oxford theatre company has two cracking outdoor shows this summer. A Midsummer Night’s Dream (5 July – 5 August) is a return for last year’s sell-out, interactive Shakespeare show. 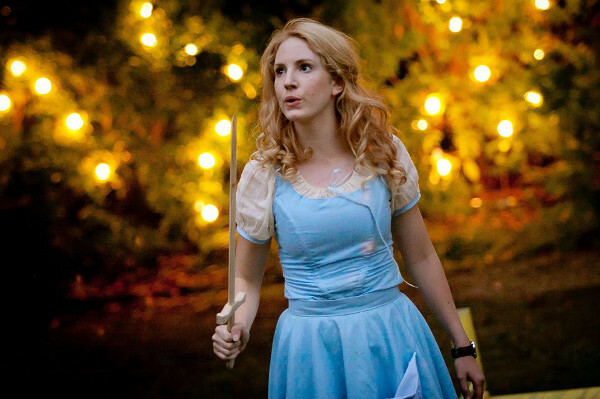 Part treasure hunt part play, it requires the audience to meet in small groups at a secret city centre location and follow clues… Alternatively you can fall down a rabbit hole in the green gorgeousness of University Parks for a family-friendly production of Alice (15 July – 19 August). Sure to be popular, Tomahawk Theatre are mixing it up, throwing in a bit of song and dance but sticking to Shakespeare’s original language for their latest production of Romeo and Juliet. Get there early – it’s first come for seating; all with the stunning background of Oxford Castle. Runs til 29 July. It involves trekking up to the smoke, but it’s absolutely worth it for an evening at this picturesque fairy-light strewn theatre, which is the big daddy of al fresco productions – and the London Theatre Of The Year in 2016’s The Stage awards, no less. This summer’s extensive programme includes A Tale of Two Cities (7 July – 5 August), a brand new adaptation of the Dickens tome that’s alarmingly topical once again. Then there’s a family-friendly Oliver Twist (17 July – 5 Aug) suitable for children age 6+. 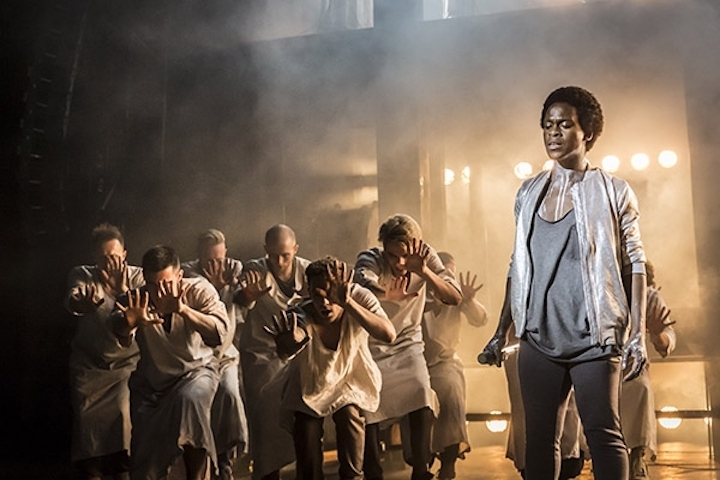 Finally, bring out the big guns: namely, the Olivier and Evening Standard award-winning Jesus Christ Superstar (11 August 2017 – 23 September 2017), by Tim Rice and Andrew Lloyd Webber. Have we missed anything amazing off the list? Let us know in the comment box below!